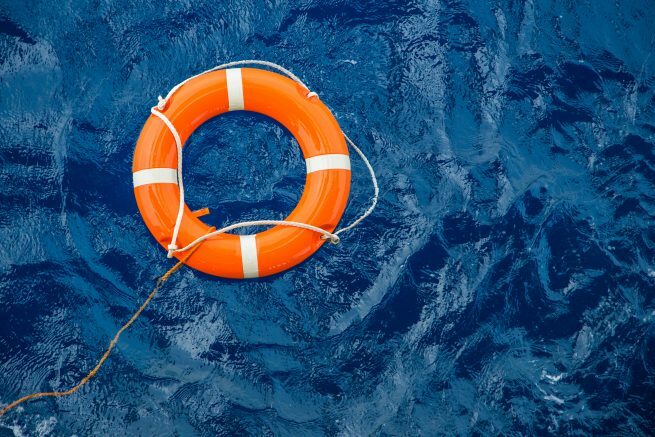 Could Floating Underfunded Staff Ultimately Sink Them? An overdraft occurs when money is withdrawn from a bank account and the available balance goes below zero. In this situation the account is said to be “overdrawn.” If there is a prior agreement with the account provider for an overdraft, and the amount overdrawn is within the authorized overdraft limit, then interest is normally charged at the agreed rate. Bank customers can arrange overdraft protection for their checking accounts. If they write a check greater than their account balance, no problem. The bank does not do this out of the goodness of its heart. It treats this as a loan and charges interest on the amount of the overdraft. The bank’s mission is not to lose money. Simply put, the bank allows its customers to spend money they don’t have and pay a fee for the privilege of borrowing its money. This is the manner in which many people use their credit cards. They make purchases knowing they don’t have enough money to pay off the balance by the due date. It’s easy to fall into a lifestyle of borrowing money when you don’t have the income to cover your expenses. While banks are in the business of extending credit, should Christian organizations adopt similar practices for their financially supported staff? Should they pay their staff members their full compensation if the staff members do not have adequate support? Is it healthy to allow their staff members to “borrow” money in this way from the organization? What are the consequences of this practice for the organization and its staff members? The rationale to float staff, allowing them to go into the “red” with the organization, most likely comes from a sincere heart of wanting staff who are not at full support to have the money they need to pay their bills and continue to participate in their ministry. Could this be misguided grace and not at all helpful for the staff member? In Cru we have a deficit policy. We allow staff members to go into the red with Cru ($300 for single staff; $600 for married couples when both are on our staff). Beyond that, if our staff do not have adequate support, they will get short paychecks. Our leadership has the responsibility to work with our underfunded staff members to help them get to an adequate support level. When our staff raise additional support, they can get their back pay. The practice of paying supported staff members full paychecks, no matter how much they are underfunded, can lead to catastrophic consequences for the mission of your organization and your staff members. When staff members go deeper and deeper into deficit with the organization, and the organization continues to pay them their full salaries and reimbursements, it cripples the staff member from any incentive to raise his/her support. It is almost impossible, once you allow staff to go down this road, for staff members to recover and raise their needed support. You will either end up subsidizing them for the rest of their tenure with your ministry, or they will leave your staff prematurely. Another consequence for allowing your staff to go into unchecked deficits, is you may have to divert funds from significant Great Commission projects to cover those deficits. Ministry account deficits do not advance the cause of Christ. It is not wrong to show compassion to your underfunded staff. However, instead of giving them “overdraft protection,” empower them by coaching them to full support.